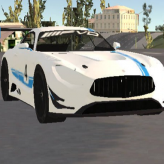 Show off your driving tricks with your awesome sports car and believe in your self! Drive around with your friends in Madalin Stunt Cars! Get behind the wheel and start performing some various car stunts in a beautiful open world environment. Madalin Stunt Cars is a Unity3D game featuring a beautiful 3D world and awesome sports cars. 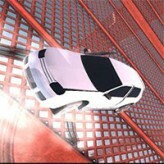 The game is a driving simulation game that features single player free-roam and multiplayer modes. Madalin Stunt Cars allows the players to drive 8 awesome sports cars based on actual super cars. The massive world features a lot of objects and serves as a playground for cars. Have fun driving around freely with your friends! The game requires Unity3D web player plugin to play. There have been 5,434 plays and 53 likes from 66 votes (81%) since 26/09/2016. 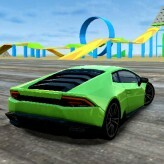 You are currently playing Madalin Stunt Cars game for free on Arcade Spot. It is a single game out of a variety of games that you can play on Arcade Spot. Play more games like Madalin Stunt Cars in the Challenge, Driving, Multiplayer, Racing, Simulation, Skill, and Unity gaming categories. This game has a rating of 81 out of 100 based on 66 user ratings. If you enjoyed playing the game, give it a thumbs up. Free Online Games and Arcade Games are added every day. Arcade Spot will bring you the best games without downloading and a fun online gaming experience on the internet.